A real hand cuddler: With the newly developed conical handle and hand-ground, high-quality stainless steel, the Q! 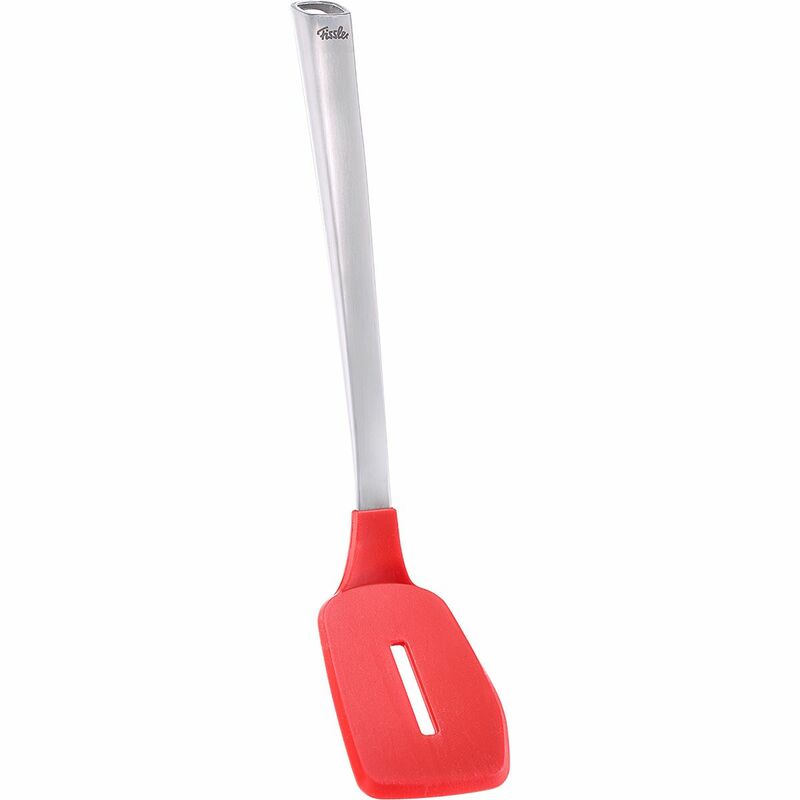 Frying turner with silicone offers a previously unknown feeling of well-being for all hand sizes. The special geometry with a bevelled corner and an ergonomically optimal angle of the large support surface allow comfortable working even at the edge of the pan. The very heat-resistant silicone of the roaster also protects the non-stick coating. This is the new Q series! from the house of Fissler.